If you want softer and less frizzy hair Coco Hair Miracle Oil from The Little Health Company may be for you. I’ve been trying it out in the past month or so and I can now give you my honest opinion about it. One lucky reader will also be able to try this oil for free since I have two bottles to give away! To enter, just fill in the Rafflecopter widget below. Coco Hair oil is suitable for all hair types so whether you are blonde or brunette, have dry or oily hair, Coco Hair will work for you. I have fine, blonde hair which gets greasy very quickly so I was concerned that this oil will weigh my hair down, causing it to get greasy even quicker. I was actually pleasantly surprised. The oil itself feels pretty greasy and can solidify in cold temperatures. It happened to me once but after I put it on a radiator for few minutes it turned into liquid and it came out of bottle easily. Extra virgin coconut oil is the second ingredient on the list. The benefits of using it on the skin and hair are nothing new, people have been using it for beauty purposes for hundreds of years. Coconut oil is rich in vitamins, minerals and nourishing fatty acids that strengthen hair, condition the scalp, and help to regrow hair. (2) It leaves hair shiny and keeps them strong. 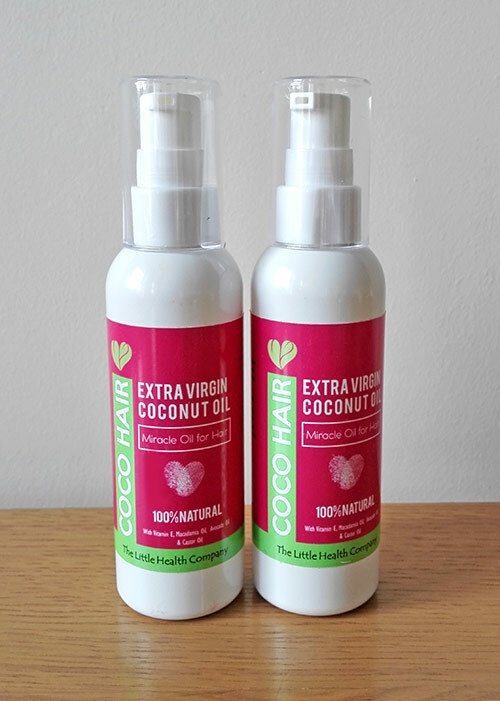 Coco Hair Oil also contains macadamia oil, sweet almond oil and virgin avocado oil. That’s it. 100% natural. Perfect. When you smell it, you can definitely smell macadamia oil but coconut smell doesn’t stand out that much. Not an issue for me though. The main question is: does it work and what’s like using it? I must admit, it was very strange at first to put this greasy oil on my hair and I wasn’t even sure how much to use and whether I should put it all over my hair. At the end I decided to use it sparingly and apply it only on mid lengths and ends, where my long hair would need it most. I get split ends which annoy me sometimes and if there is any way to prevent it I would do it. I rub the oil between my hands and then apply it onto my hair, concentrating on my ends where I tend to get most breakage. Instructions say to leave it on for at least 20 minutes but I would leave it on as long as possible to allow all the goodness penetrate deep down into the hair. The best is to apply it about 30 minutes before you are planning to have a shower. Leave it longer if you can. In the shower you need to make sure you wash it off properly. To remove the oil I shampoo my hair twice as I normally would but I concentrate on the parts of the hair where I put the oil on. After washing it off, my hair actually doesn’t feel softer, but instead it feels a bit rough! It worried me at first but then after using a conditioner it was totally fine. The results of all the hard work? 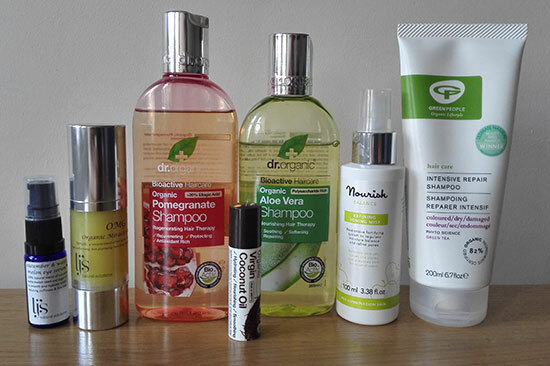 Healthy looking, shiny, softer and smoother hair which people will envy you! The effect lasts even after the next washing where you haven’t applied the oil so you don’t have to use it every time you wash your hair, maybe just once a week unless you have pretty damaged hair. And my hair doesn’t get greasy any sooner than it would normally, after using this oil. So, win win! This is the first hair oil I tried and I am really happy with the results. Definitely worth spending some extra time on your hair maintenance, just to get that healthy glow. You describe it so well, I want it. Actually need it as my hair’s dried out after a course of steroids (horrible drugs!) Cutting it shorter means I now have to style it, whereas before I was a wash-n-go person and only used sandalwood essential oil for taming the frizz. 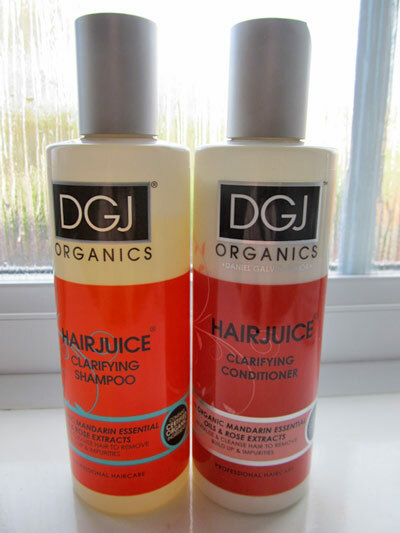 It does make a positive difference to my hair although at first I wasn’t sure about its greasiness! Good luck with the competition!